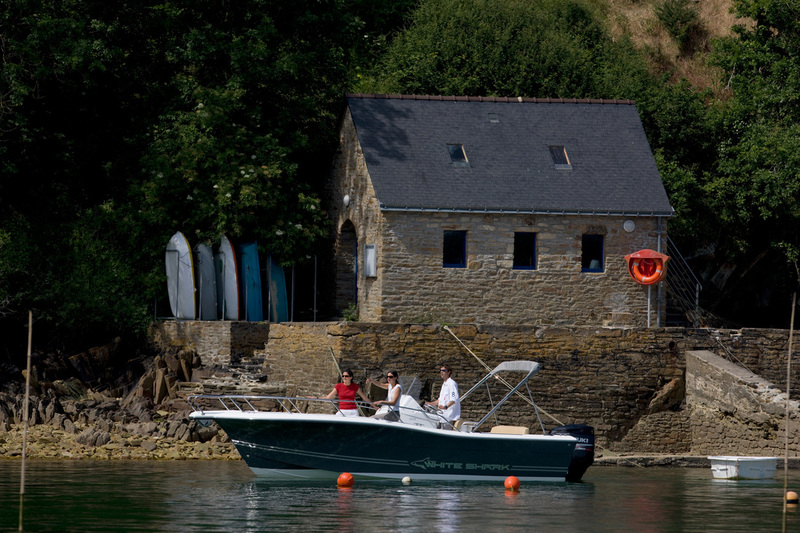 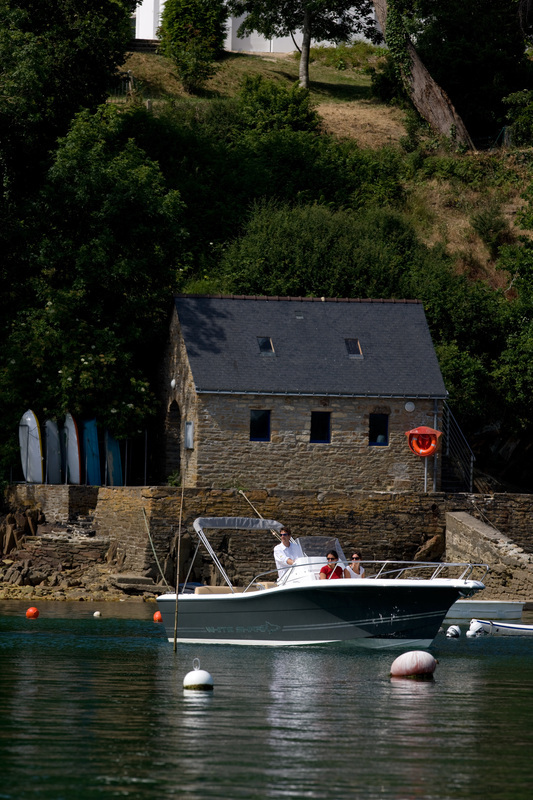 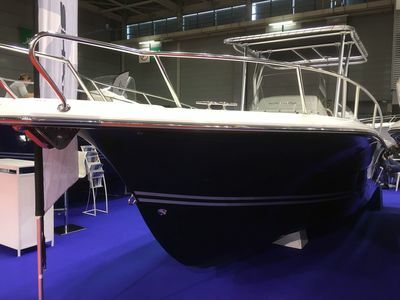 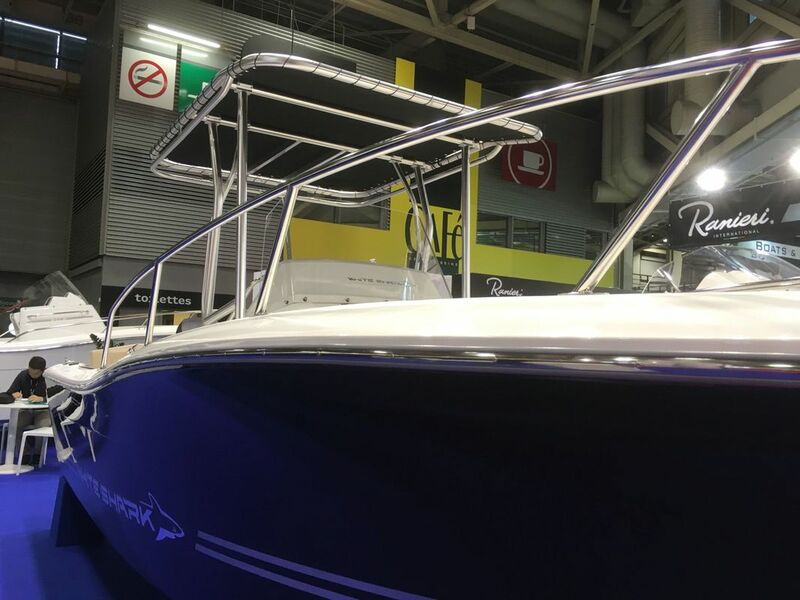 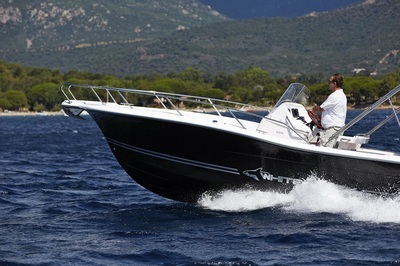 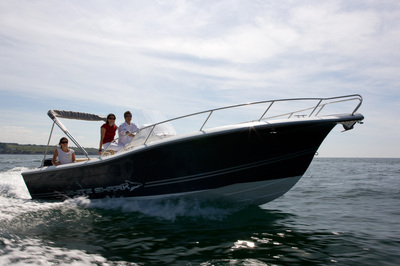 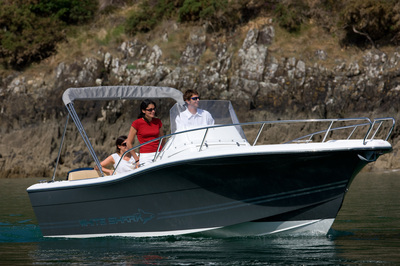 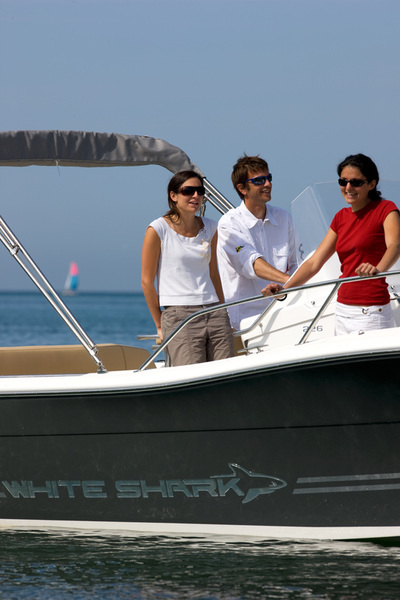 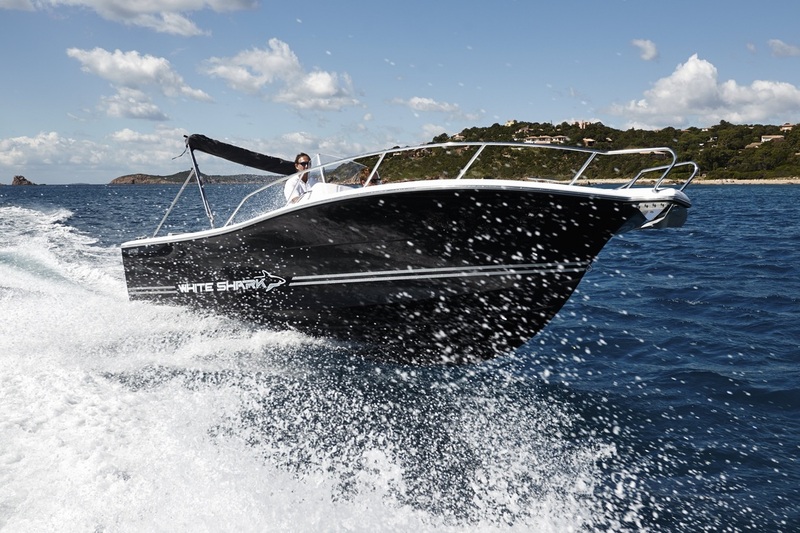 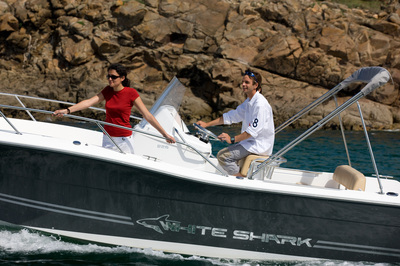 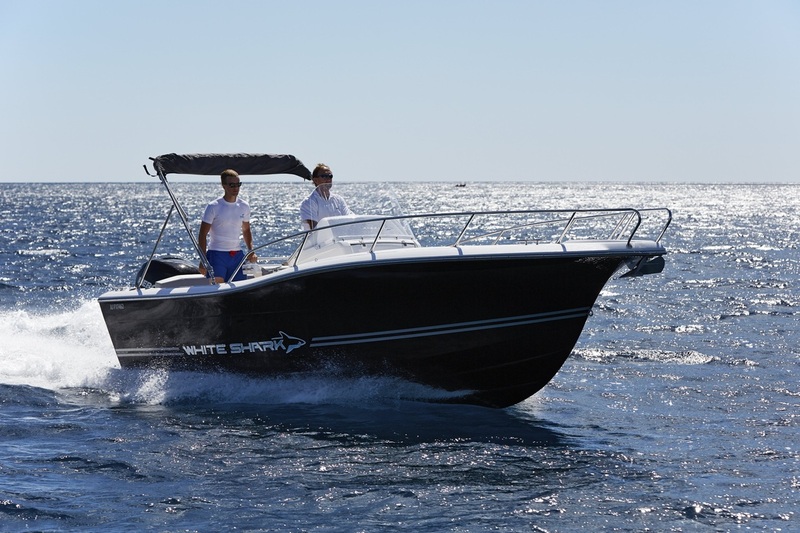 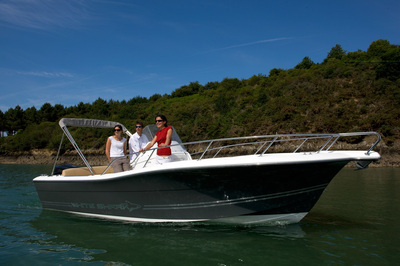 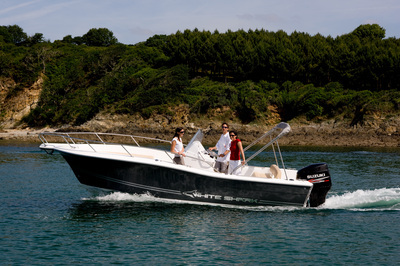 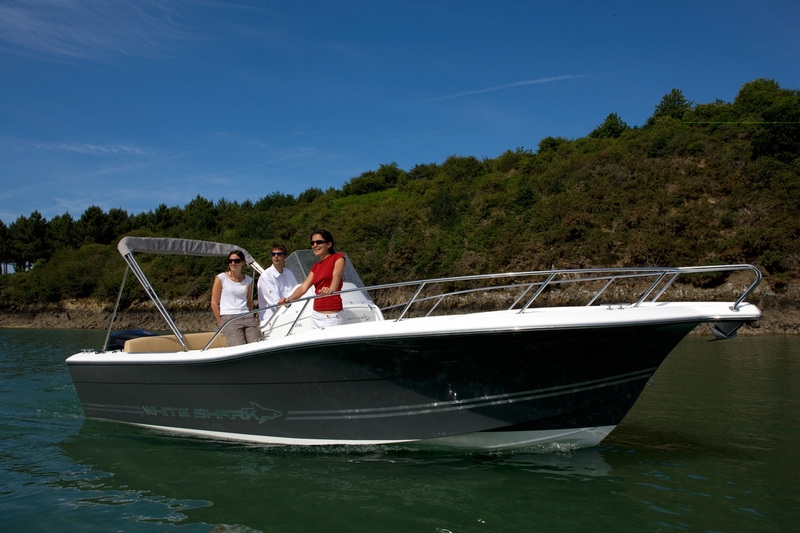 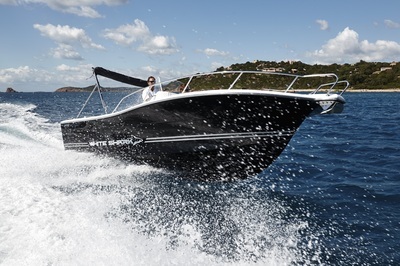 22.6ft size, the deep cockpit and high freeboard coupled with a large flared bow ensures a smooth and safe dry ride even in the roughest conditions. Huge underfloor forward storage area, crescent bow seating with optional infill to convert area to sundeck, picnic table. 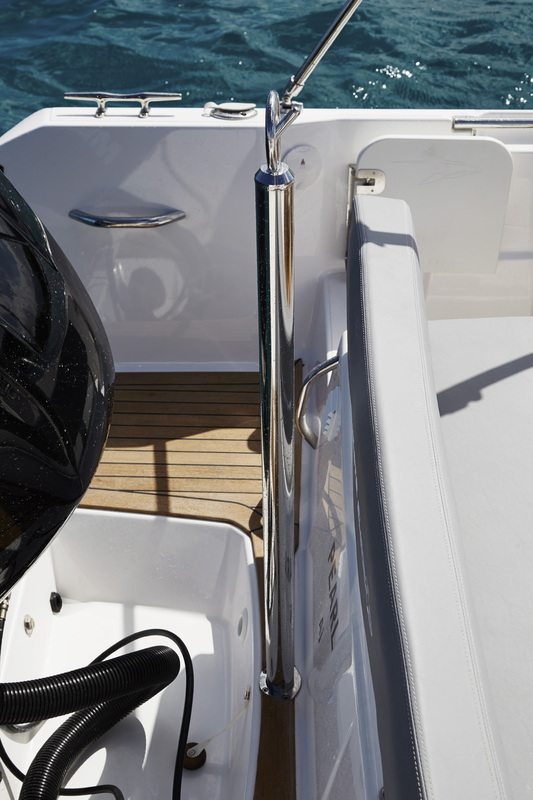 perfectly placed leaning post to the helm offering a really comfortable driving position. 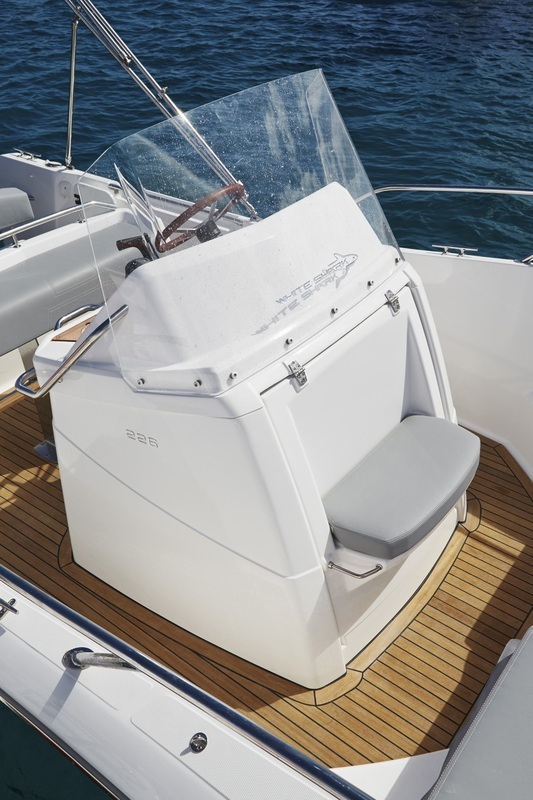 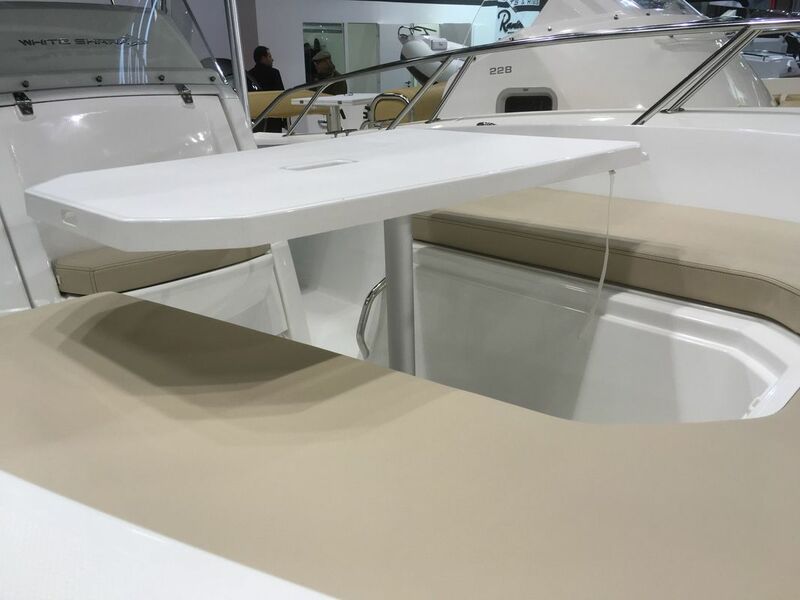 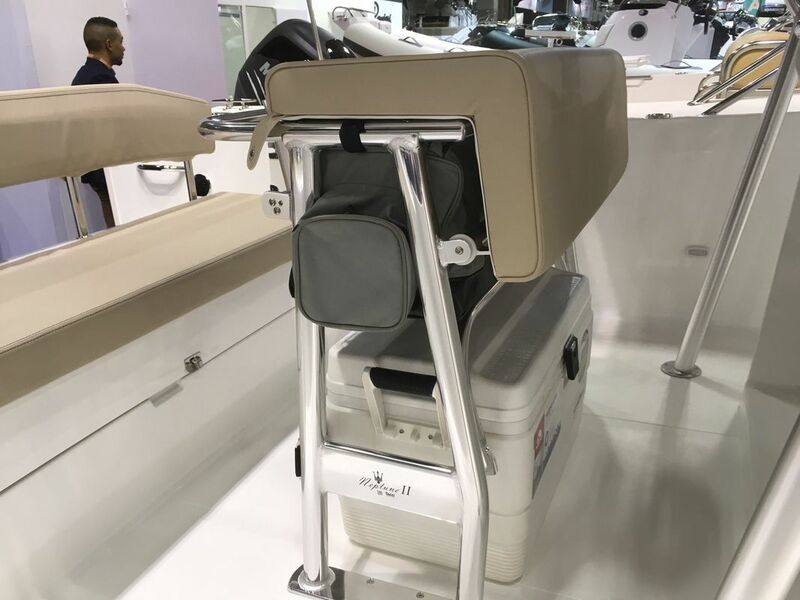 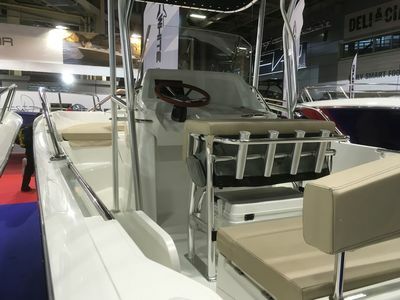 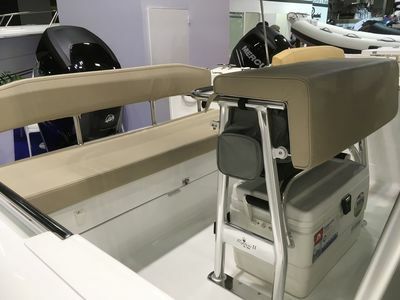 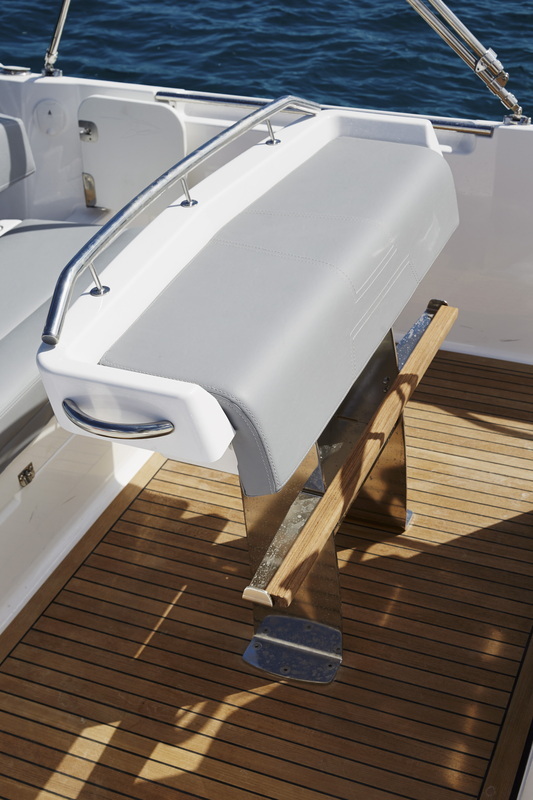 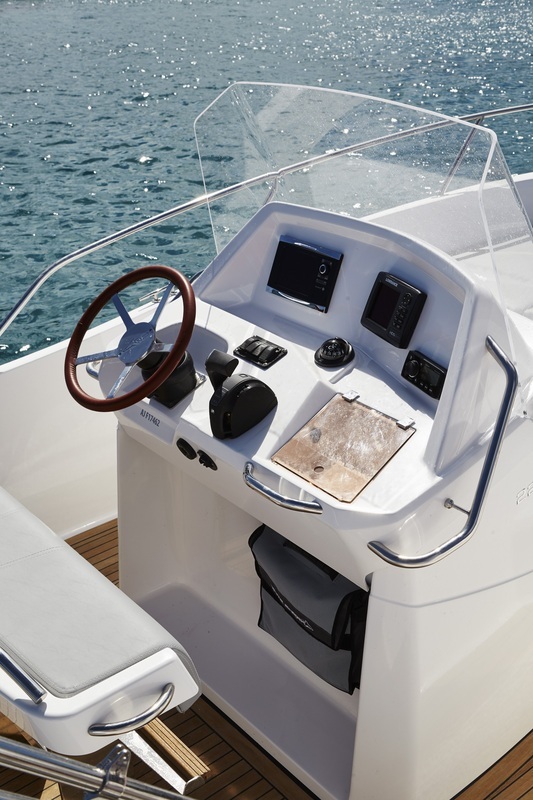 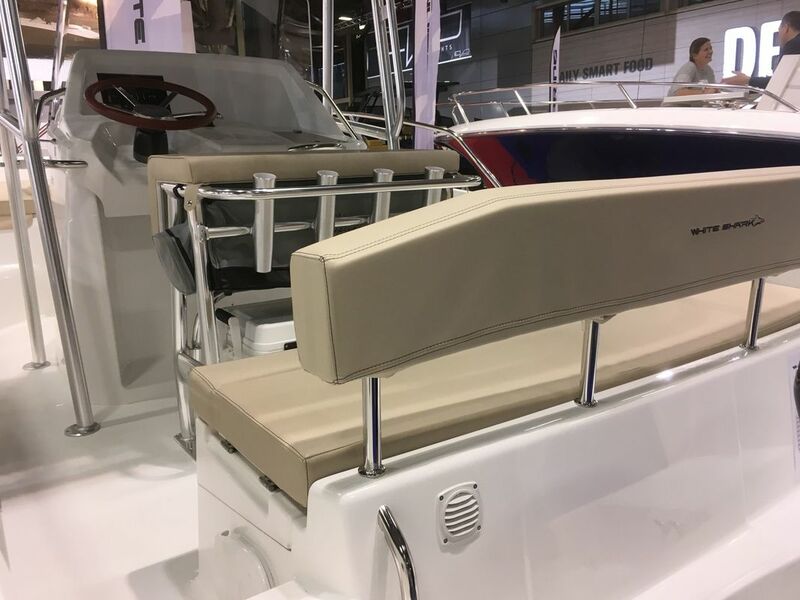 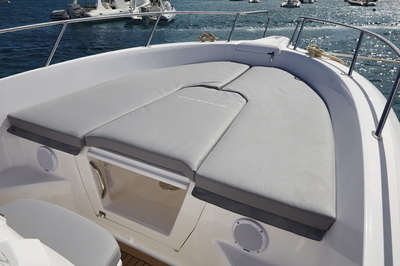 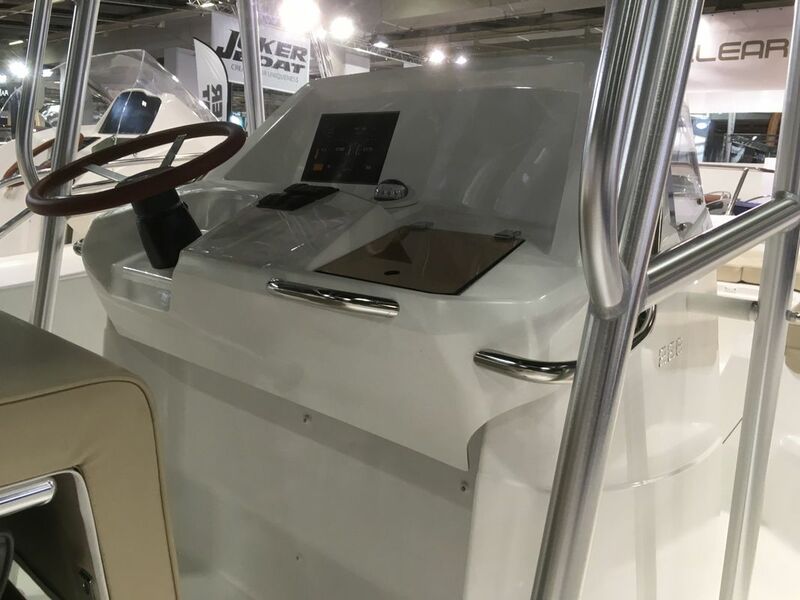 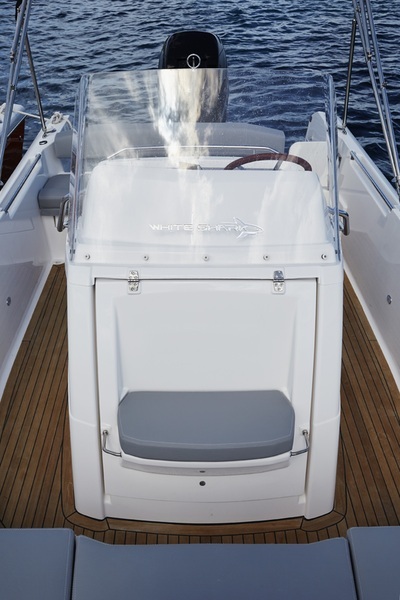 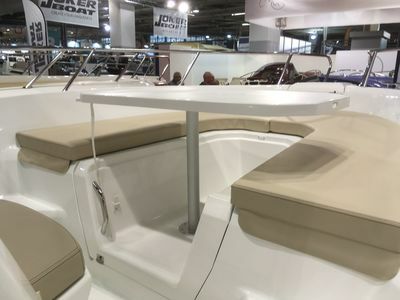 Aft seating is plentifull with a wide walk around each side of the large center console, which also offers considerable storage and optional chemical WC. 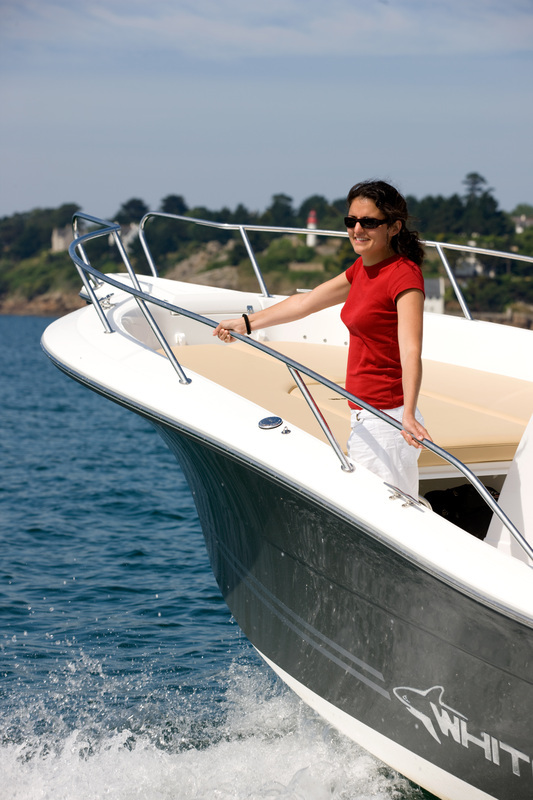 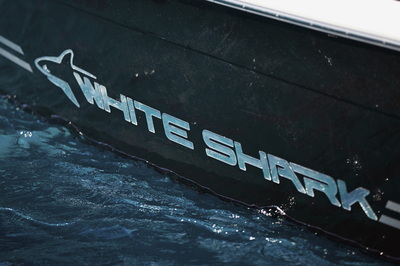 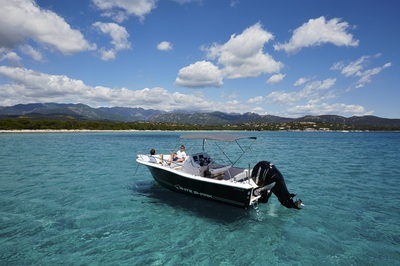 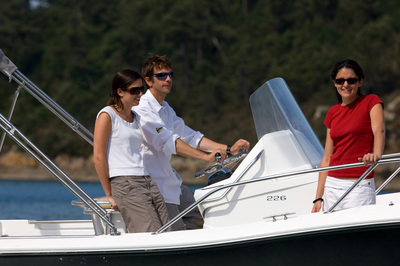 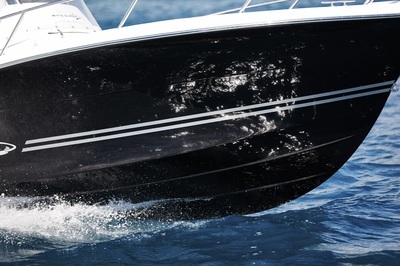 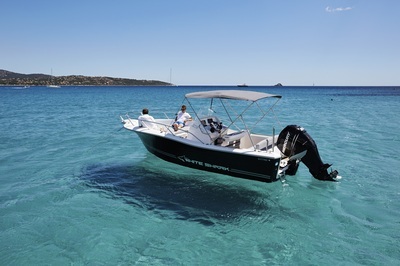 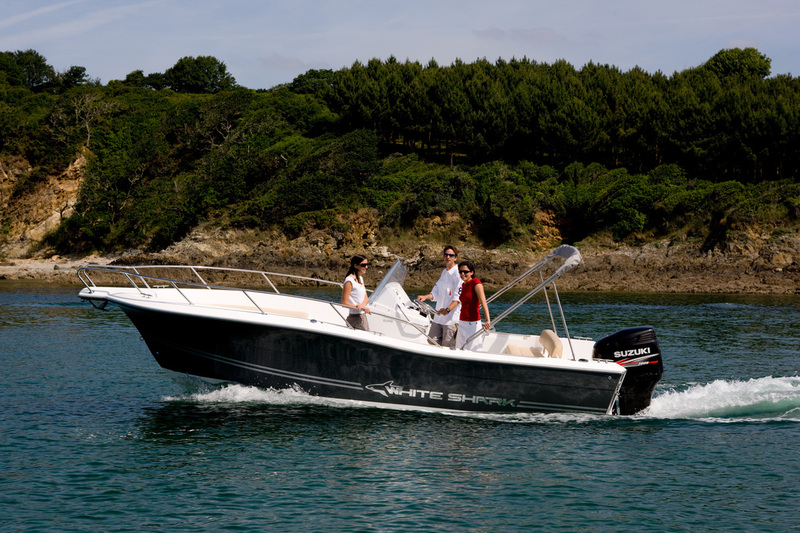 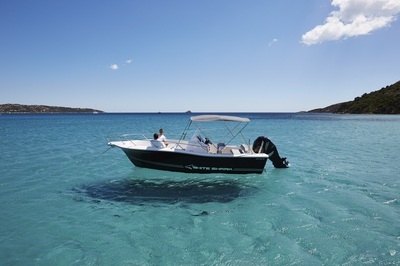 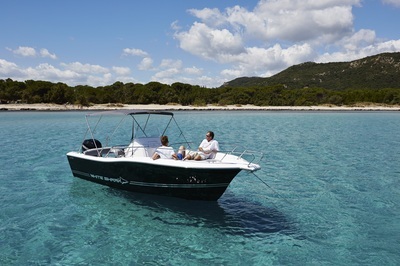 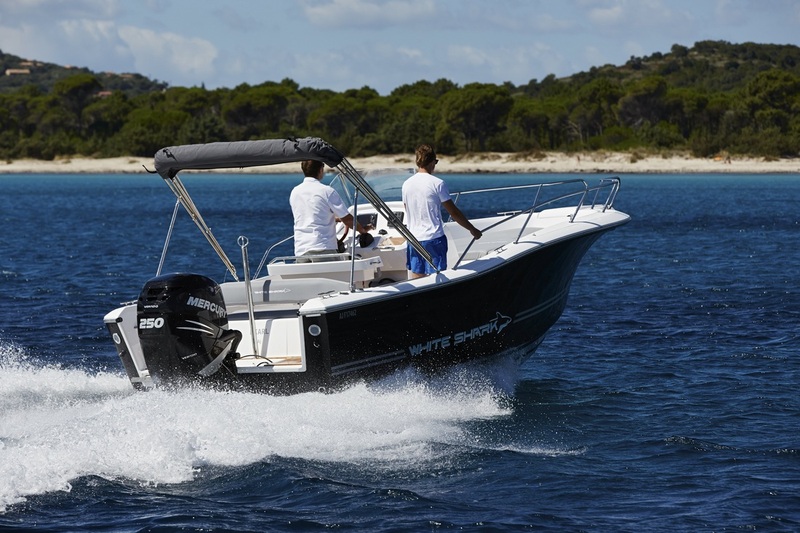 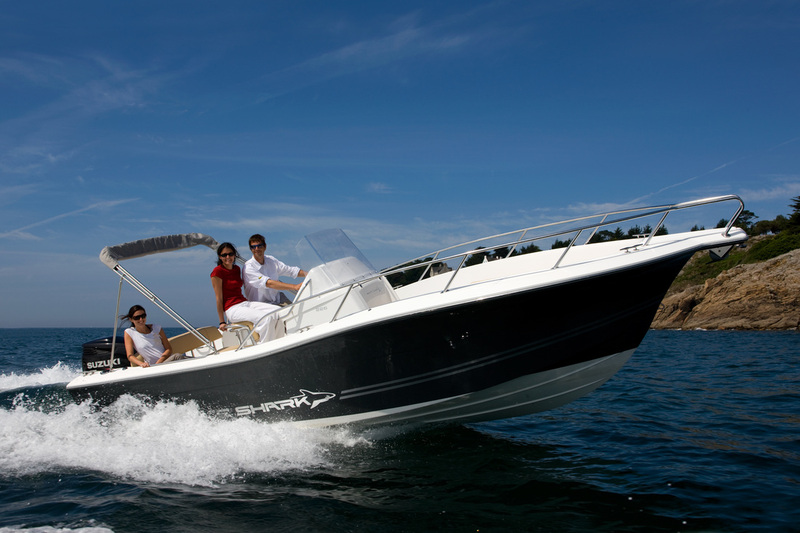 Optimum power is a 200HP outboard but she can handle up to 300HP. Builder displacement without engine : 1,180 kg approx.